Vacation Rentals by the Sea We are local - here for you every day! Oops.. You have not entered any dates, Save yourself time and enter your Check In and Check Out dates above! Massive discount year round. Up to 34% discount. 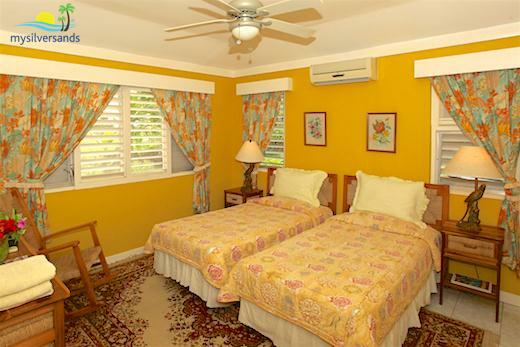 Plus, Special Low Rate for 1 Bedroom Rentals of US$185 per night. The prices on this web site already show the reduced rates so it is not necessary to enter a coupon on the Reservation Form. For periods between 01 January 2019 and 31 December 2019. Minimum stay is 3 nights. We look forward to welcoming you back soon! Image 1 of 9: View from the Pool Deck at Salt Ash. Here is the spot to sunbathe while enjoying the Tradewinds coming up from the sea, or relax in the shade. 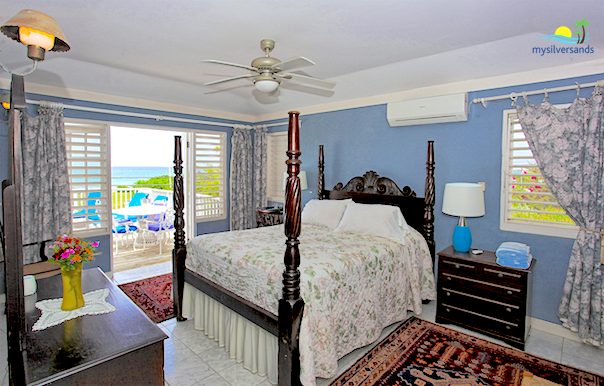 2 of 9: The master bedroom at Salt Ash opens North through double doors to the pool deck and that wonderful sea view. This bedroom, like all the others, is air-conditioned. Furnished with a four-poster king bed, there is an en suite bathroom with bathtub and shower, as well as a large closet. Apart from night tables with lamps and dressing table, there is also a three seater cane sofa. There is a view of the sea from this bedroom. 3 of 9: Bedroom 2 is furnished with twin beds. 4 of 9: Bedroom 3 is furnished with twin beds. 5 of 9: The living room at Salt Ash is spacious and comfortable, enjoying good ventilation through the louvre windows to the North. 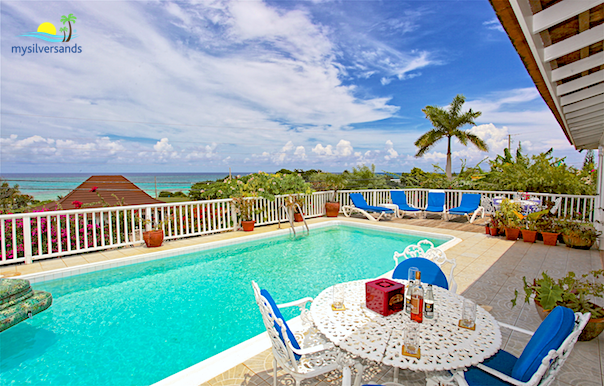 The turquoise blue you see out the windows in the photo below is the beautiful Caribbean Sea. There is a ceiling fan, satellite television, stereo CD Cassette Player and telephone. 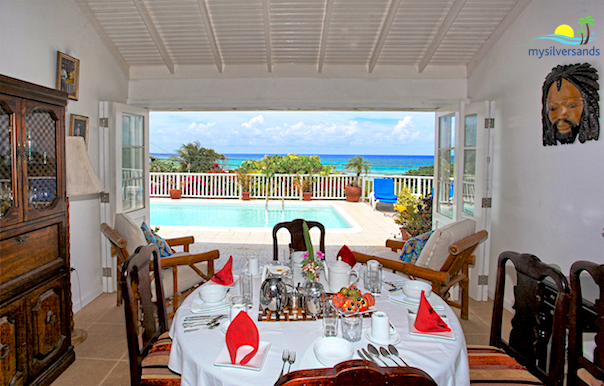 6 of 9: Enjoy the sea view when dining indoors. 7 of 9: No description available. 8 of 9: No description available. 9 of 9: No description available. 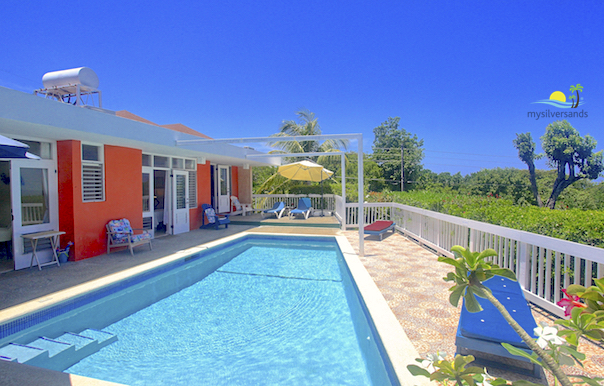 Saltash Villa is a charming 3 bedroom vacation home with a private swimming pool, perched on a small hill, surrounded by a lovely tropical garden, offering sweeping views of the Caribbean Sea. Adorned in charming décor, the rooms exude a warm and cozy ambience. The villa is all on one level, no flights of steps, making it very easy for guests with walking difficulties to navigate the property. 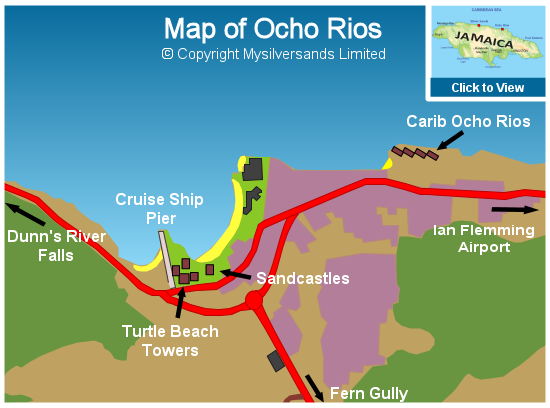 It’s just a short walk to the magnificent Silver Sands beach. Saltash is on one level with no flights of steps to access any part of the villa. Private pool with sea view. Patio flows into pool deck. Spacious and comfortable living room and dining room area. Equipped with satellite TV (reception not guaranteed), DVD player, VCR, CD stereo system with tape deck, radio, telephone. Free ADSL (high speed broadband) wireless internet connection. 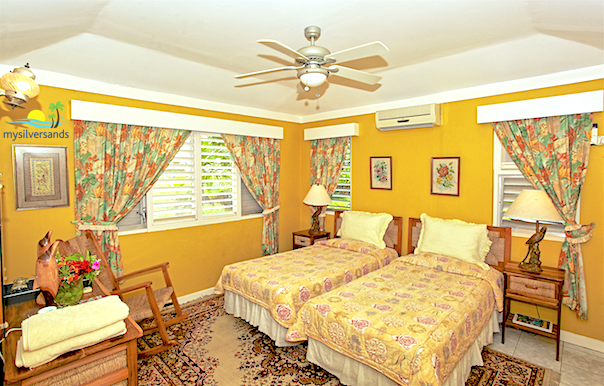 All bedrooms are air-conditioned, and equipped with ceiling fans, dressers, mirror, night tables, and reading lights. Baby crib available. Ceiling fan in living room. All bathrooms have showers and bathtubs and the master bedroom has a whirlpool bathtub. Living room opens out to the patio. Table tennis table and equipment, water polo pool set available on request. Board games, books, children's sand toys. Fully equipped kitchen.Large coal barbecue and smaller mobile barbecue for dining in the garden. Mobile bar on pooldeck. All windows are insect screened. 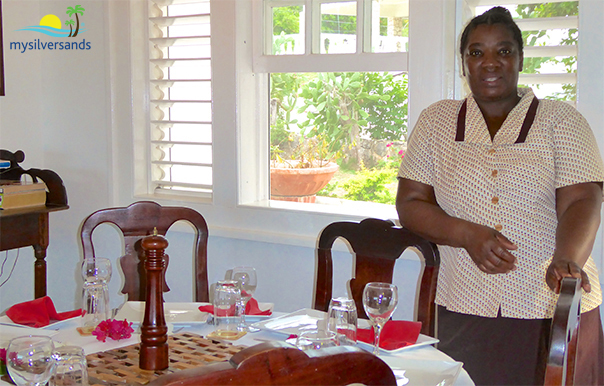 Cook & Housekeeper, will prepare and serve all meals from 8:00 AM to 8:00 PM. Surrounded by lovely tropical garden. View available properties: Click on Flashing Red Circles on the Map below or Scroll down to view List. In the table below, the number to the left of each house name is the Lot Number. 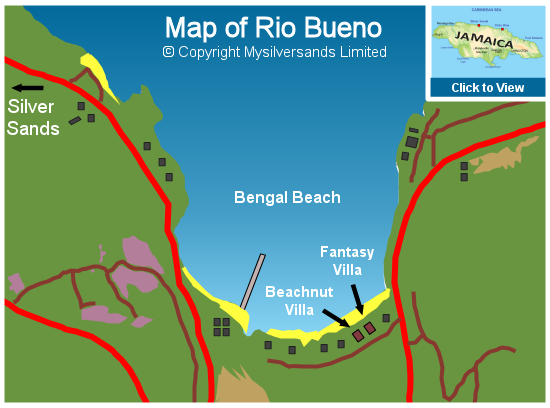 Note that all the houses in Silver Sands are an easy walk to the Swimming Beach. The roads are private and there is no through traffic. Using the footpaths, makes walking to the beach even shorter. To the East of Silver Sands (next to Lots 188 and 191) there is a large area of undeveloped land, part of a private property. 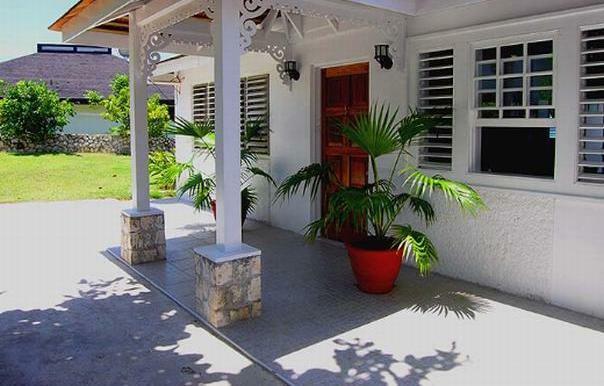 Saltash Villa costs from $259.00 to $429.00 per night. 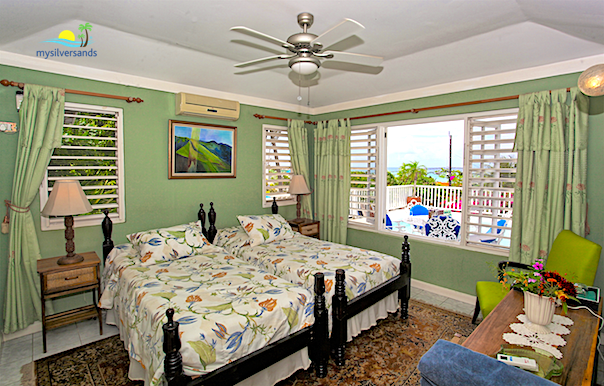 Rates vary according to the time of the year and the number of bedrooms/persons in your party. We can show you the exact price for your stay if you enter your Arrival and Departure Dates and the Number of Bedrooms you require. Do you know your Arrival and Departure Dates and the Number of Bedrooms you require? Prices based on 2 persons per bedroom. Enter your Arrival and Departure Dates. Then click Check Availability. If you want to see everything that is available for any period, please use the Accommodation Search feature on the upper left of this page. If available, you may book this property for periods beginning tomorrow. Deposit Required: 20% of Total Price. Balance Due at least 30 days prior to arrival. We accept American Express, VISA, MasterCard, Certified/Cashier’s Cheques, Payment by Internet, Direct Bank Deposits, and PayPal. 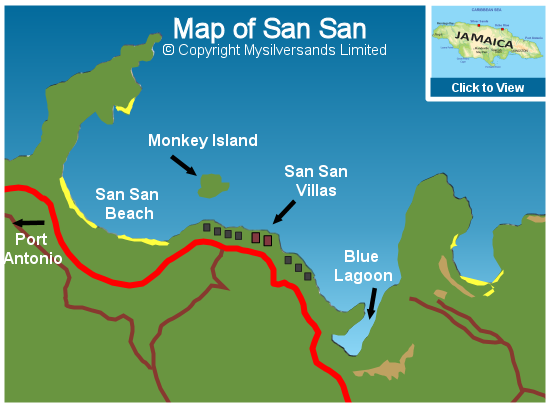 Free Airport Pick-up from Sangster International Airport when you book a minimum of 7 nights. 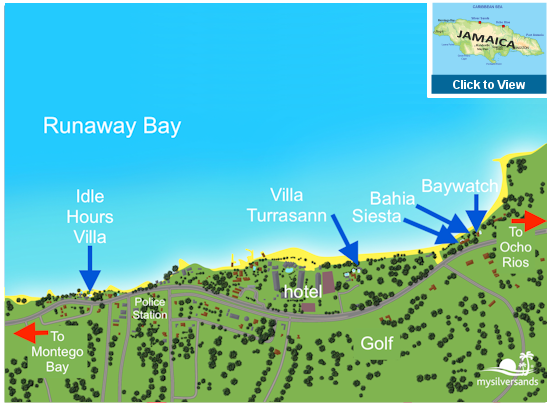 Free Airport Drop-off to Sangster International Airport when you book a minimum of 7 nights. Christmas-New Year Period:All bedrooms must be booked. Minimum one week over Christmas and one week over New Year (one week cannot include both Christmas and New Year). For a one week booking, the stay must start or end on December 28 or 29. If both Christmas and New Year holidays are required, then minimum two weeks applies. Note: Minimum Booking Restrictions may apply to the period you wish to book. 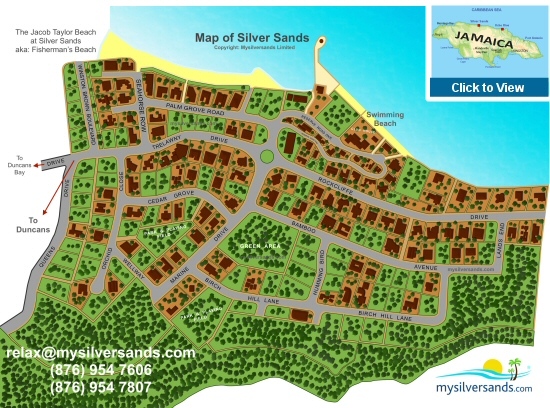 Mysilversands Limited Terms and Conditions for vacation rental properties at Silver Sands Jamaica. Terms and Conditions for accommodation in other locations vary. By submitting a booking you confirm that you and each of your party accept the terms and conditions contained herein. To book your accommodation, you will need to complete our Reservation Form and pay a deposit or, if you are booking within thirty days of the start of your booking period, the full amount. The person submitting the Reservation Form is called the Party Leader. He or she must have the authority to contract on behalf of all other persons utilizing the accommodation and other services booked. By submitting the Reservation Form, the Party Leader is stating that all persons utilizing our services have accepted these Terms and Conditions. The Party Leader will be responsible for the full cost of accommodation and other services contracted. A Confirmation with all necessary details will be issued and sent to the Party Leader who is responsible for keeping other members of the party informed. Our responsibility is to provide the accommodation and other services that you have booked with us. Please check your Confirmation carefully to ensure that you have been confirmed for what you intended to book. We reserve the right at our absolute discretion to refuse your booking, in which case we will refund in full any money you have already paid us. Rates include all Jamaican taxes, staff salaries, laundry, cost of water and electricity, cleaning and household supplies. 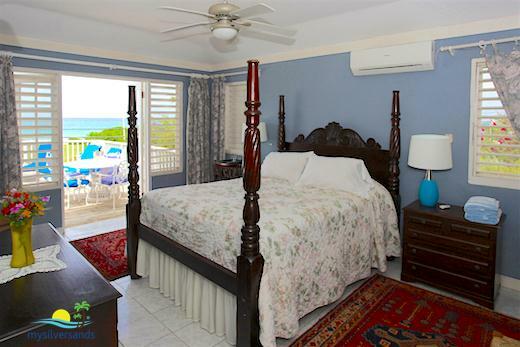 The accommodation is fully furnished and equipped with linen, bath and beach towels, dishes, utensils, soaps and tissue paper. 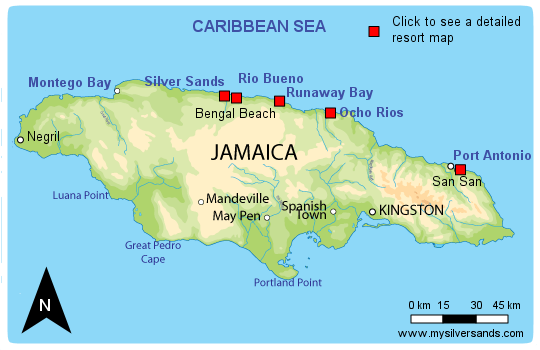 Rates do not include any insurance, flights, airport charges, car rental, transportation (except where one set of Airport Transfers to and from Montego Bay are included free with the accommodation), baggage handling, staff gratuities, telephone charges, food, beverages, liquor, personal items and expenses, dry cleaning, or baby-sitting. When Mysilversands provides Airport Transfers, we allow for two suitcases per passenger, and we are under no obligation to transfer any additional suitcases, windsurfers, surfboards, bicycles or other unconventional luggage unless we have confirmed otherwise in advance. Some accommodations permit guests to book a lesser number of bedrooms than the property contains. Those not booked may be closed off and you are not permitted to enter those rooms without our prior consent. The rest of the unit is yours exclusively for the duration of your stay. No one else will share any part of the accommodation with you. The maximum number of persons allowed per bedroom is two. Additional persons may be allowed at certain accommodations. Under no circumstances will more persons be allowed to occupy the accommodation than the number stated on the Confirmation. An infant (i.e. a child who is less than two years old) may share a bedroom at no extra charge and this must be declared and agreed in advance. A reservation may only be confirmed when the Reservation Form has been submitted, we have confirmed the reservation and the appropriate deposit has been received by us. The balance is due no less than 30 days prior to the start of the booking period. If the booking is made less than 30 days prior to the start of the booking period, the entire amount is due immediately. Note: We do not store card details. We highly recommend that you obtain travel insurance, including trip cancellation insurance. Your payments will only be refunded if (1) we are unable to provide the services or accommodation for reasons beyond our reasonable control in which case you will receive a full refund; (2) we are able to rebook the accommodation for the period you booked, in which case you will receive a full refund less US$50 service charge. There is no refund under any circumstances for any unused portion of booked accommodation or services. Cancellation of your booking may result in the forfeiture of your payments. From time to time, building work and associated noise is unavoidable near to your accommodation. This is not under our control and we accept no responsibility for the same. We will use reasonable endeavours to ensure that any necessary repairs and maintenance work are carried out as quickly as possible after notification to us to cause you minimum inconvenience. There may be interruptions or malfunction in the supply of utilities to accommodation. We do not accept any responsibility in respect of the same and do not provide any compensation for such occurrences. No refunds or compensation of any kind will be made for the failure of any satellite or cable television systems or wifi service provided in the accommodation. The prices for accommodation are displayed on the Mysilversands website: if you enter your arrival and departure dates and number of bedrooms required (based on two persons per bedroom), you will be shown the exact price for your stay; if you do not enter this information, you will be shown a range of prices per night. All accommodation is priced by the night. At Silver Sands, a stay of seven nights or more in the same accommodation includes Free Airport Transfers between Montego Bay and Silver Sands for all members of your party travelling together. Note: Free Airport Transfers are available for arrivals at Montego Bay, not from Kingston. A stay of less than seven nights does not include Free Airport Transfers. A stay of seven nights in more than one accommodation does not include Free Airport Transfers. If your booking does not qualify you for Free Airport Transfers, we can arrange them for you. Note that the prices are based on a maximum of two persons sharing a bedroom. 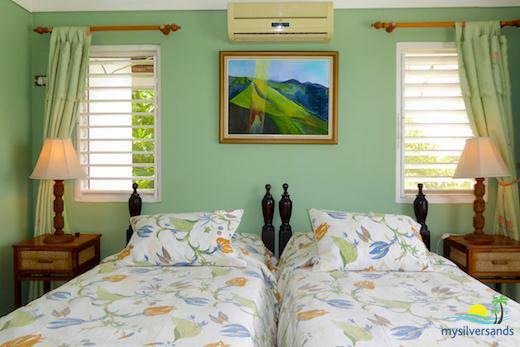 For example, a three bedroom rental will accommodate up to six persons. In some accommodation, an infant, i.e. a child who is less than two years old at the time of the occupation of the home, may share an adult's bedroom at no extra charge. Extra persons, i.e. more than the maximum allowed under these terms and conditions, are NOT permitted UNLESS prior permission is obtained in writing and reflected on your Printed Confirmation and the appropriate payment has been received by Mysilversands. In making this reservation, you are entitled to accommodation for the members of your party only and no other persons are permitted to enter the premises except for the staff employed at the accommodation and our staff or representatives (each a "Permitted Person") without our prior permission in writing. You are especially advised not to invite any sellers, vendors, door-to-door sales people, fishermen, carvers, and others into the accommodation. If you invite any person other than a Permitted Person into the accommodation you do so at your own risk and you will be held responsible (and Mysilversands Limited excludes all liability) for any losses or damages which may result directly or indirectly from your failure to comply with this requirement and your booking may be cancelled immediately without any refund. In such an event, you will be required to leave the accommodation immediately and Mysilversands Limited will have no further obligations to you. Events (weddings, parties, etc), involving guests not staying at your booked accommodation are NOT permitted without prior written permission. Unless stated otherwise, pets are not permitted unless prior permission in writing is obtained. Rate changes made after you have booked will not affect the price you pay, i.e. the price at which you booked is guaranteed. Prior to your making a reservation, the rates are subject to change without notice. If any new Government Tax or Levy is imposed, we reserve the right to pass these costs on to you. If after making your booking, you wish to make any changes, please give us as much notice as possible. You may substitute persons who may have dropped out without any penalty or charge provided you have notified us. You may also increase or decrease the number of bedrooms booked according to the numbers permitted at that accommodation. If you wish to change booking dates, you are required to contact us. Extending your booking by arriving earlier or departing later will be permitted provided the accommodation you booked is available for the new dates, and there is no administrative fee for making such a change. If you wish to reduce the length of your stay, the days canceled will be subject to our Cancellation Policy (see above). After confirming your booking, it may become necessary to make changes to your booking or to cancel it and we reserve the right to do so. We will tell you of any changes as soon as reasonably possible. Where we are unable to provide the accommodation for reasons beyond our control, we shall offer you a full refund or alternative accommodation of a similar quality (if available). If the available alternative accommodation is of a lower price, we shall refund the difference in the cost to you. If we advise you of a change, you must let us know as soon as possible if you wish to accept the change or cancel the booking for a full refund. We reserve the right to amend any pricing or availability errors, after your reservation has been confirmed, however, if we do so we shall give you notice of these changes as soon as reasonably practical and thereafter you shall have 14 days from the date of the notice in which to cancel your reservation. If you cancel your reservation we shall send you a full refund of any sums you have paid to us in respect to your reservation, however we shall have no further liability to you howsoever arising in respect to the amendment. If you confirm acceptance of any change or we do not receive a cancellation notice from you within the time stated herein then you shall be bound by the changes as if they had been part of the original agreement between us. You are responsible for the proper conduct of yourself and any members of your party during your stay. In cases of serious misconduct, we reserve the right to terminate your booking or that of any member of your party. If we do so, we shall have no further responsibility or liability to you. If you or any member of your party deliberately or negligently cause any loss or damage to any accommodation, property or person, you agree to compensate us for any loss suffered by us, including legal costs, arising from such damage. Save for fair wear and tear, you are responsible for the condition of the accommodation and its contents. While we do not secure a deposit against damage, we reserve the right to charge you for damages and breakage caused by you. Check-in time is 2:00 PM and check-out time is 10:00 AM. We may allow you to check in earlier or check out later at no extra charge subject to accommodation availability. If you need to check in before 9:00 AM or check out after 5:00 PM and it is possible for us to allow you to occupy the accommodation, there will be an incidental charge of US$50; if you need to check out after 8:00 PM, you will be charged for an additional night. We can arrange transportation services with local drivers, either to or from the airport or to other destinations. The local drivers we deal with are independent parties who are responsible for their own licenses, insurance and vehicles' roadworthiness. As such when making these arrangements on your behalf we are acting solely as your agent and you accept the transportation service at your own risk. You can place orders with us either prior to arrival or with our representatives during your stay, however, we cannot guarantee availability at all times and you are therefore recommended to make your bookings as early as possible. If we give any advice on journey times, this is done in good faith but we cannot guarantee that any journey will be completed in the specified time. You are required to pay the costs of the transportation to us in advance of your journey and in return you will be issued with a travel voucher, which is redeemable by giving this to your driver. In the event that you subsequently make any variations to your journey we reserve the right to alter the costs appropriately. You may cancel any order for transportation up until 24 hours before the pick up time to obtain a full refund; if you fail to do so then you will remain liable for the full cost. We reserve the right to terminate any transport services in the event of riot, civil unrest, war, extreme weather conditions or any other events that in our opinion are likely to be a threat to your safety, if we do this we will refund to you the cost of the service. Drivers reserve the right to refuse to transport passengers where to do so would exceed the vehicles capacity or if they deem them to be intoxicated or abusive and no refunds will be given in these cases. In the event that a driver fails to arrive we will use our reasonable endeavours to arrange a suitable alternative and if this is not possible we will refund you the cost of the transportation and this will be our total liability to you. Parents or guardians are responsible for ensuring that their children are appropriately strapped in and we accept no liability whatsoever resulting from any failures to do so. If requested at the time of booking we can arrange for child seats to be provided free of charge, however, we can not guarantee immediate availability at all times. If services are cancelled due to a lack of appropriate child restraints we will refund the transportation costs. We are not responsible in any way whatsoever for any damage, loss or expense arising in connection with the provision of any service or the rental of any accommodation or equipment including water sports equipment, or arising in connection with any airline, vessel or ground carrier, or for the action or omission of any travel agency or tour operator, or their agents. We are not responsible in any way whatsoever for any damage, loss, delay, harm or expense resulting from inclement weather, acts of terrorism, acts of God, labour unrest, monetary crisis, theft, quarantine restrictions, civil commotion, arrest or restraint by any government, the hazards of war, or any conditions outside of its control. If we have misrepresented the accommodation you have booked, we will move you to suitable accommodation or cancel the booking for a full refund at your discretion. The limit of our liability to you is the full price you paid to us. These terms and conditions shall be governed by English law and the parties submit to the exclusive jurisdiction of the English courts.